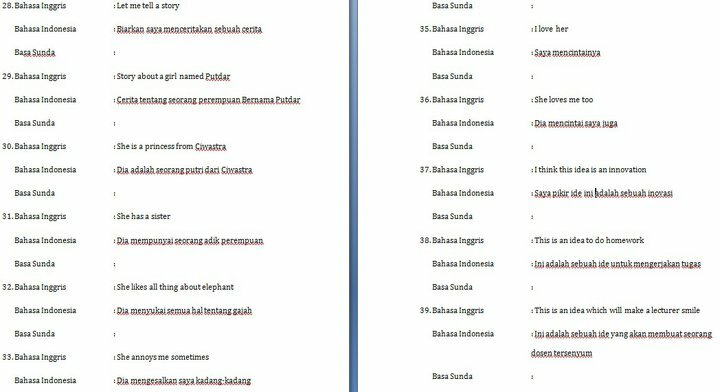 So, for Translating class, we have these assignments and one of them is to translate sentences from English to Indonesian and Sundanese word by word. Everybody is talking (and cussing) about it in our class Facebook group. The image above was posted in the group's wall by Mr Boyfriend a few minutes ago to give others "an inspiration". I think he will seriously submit it. I love him. So much. A lot.